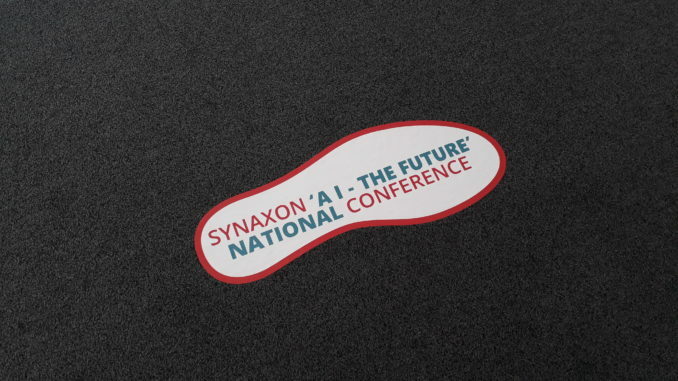 On 7 June Synaxon put on an impressive event at the International Centre, Telford, basing the day around the provocative theme, ‘AI – the future’. Dealer Support was fortunate enough to be invited to this event by Synaxon’s MD, Derek Jones. Derek impressed upon the attendees of the event that, with technology – as in all things business – collaboration is key. He drew on the Charles Darwin quote, “In the long history of humankind… those who learned to improve and collaborate most effectively have prevailed,” before going on to discuss the reasons why Synaxon places the technology channel in a position to collaborate and thrive. It’s all thanks to Synaxon’s EGIS platform, essentially – the ‘nerve centre’ of the channel and the most comprehensive of its kind in Europe. Derek described the compelling advantages of EGIS together with the announcement of a new, vendor-neutral community for MSPs, plus other Synaxon updates, such as upcoming member meetings and ongoing investment in TrustATec. While many attendees went on to see the products on offer to dealers in the exhibition room, others enjoyed workshops and one-on-one meetings with their industry peers. The event acted as the perfect opportunity to create that vital thing Derek spoke about at the start of the day – collaboration. Back in the main hall, after mingling, lunch and meetings, a representative of Microsoft spoke to us about the future of digital security and the very real, very common risks of hacking. He claimed that hardware-based security will be what changes the game in the future, especially as it becomes easier to have data stolen. Then came the celebrity guest of the day – ex-Gadget Show presenter, Jason Bradbury. Setting the tone by arriving on an electric skateboard, Jason talked primarily about the concept of ‘exponential growth’. He did this in a practical, enjoyable way by showing us a photograph of a working hoverboard which he created, made with a leaf-blower engine (Jason is, in fact, credited as being the inventor of the first ever working hoverboard). He then compared this with the far more polished one he created years later, which he ‘rode’ around London. To stabilise the journey Jason was also holding onto, with one hand, the DeLorean he had built and then decorated to look exactly like the Back to the Future car, just in time for the film’s 25th anniversary. The point of all this was to show how technology evolves, as well as to highlight how we expected it to evolve decades ago. Jason referred to Moore’s law, which predicts that every 18 months computer processing power doubles in size and whilst halving in physical size. While the rate of growth is difficult to predict, it certainly has been doubling as it goes; Jason illustrated this simply by holding up a tiny Kingston flash drive containing several terabytes’ worth of memory. He also mentioned that Elon Musk recently claimed that AI will overtake human intelligence by 2023 – so what does that mean for businesses like Synaxon? Probably all good things, as it is a business at the forefront of the technology channel in this industry. A lavish gala dinner was then enjoyed by guests before Synaxon’s awards ceremony began, hosted by Chrissy Bray. An enjoyable, informative day was had by all – many thanks to Derek, once again, for the invitation.